Our office in Keflavik is at Arnarvöllur 4b, 235 Reykjanesbær. See our location on Google maps. Just hop on board the free shuttle bus that goes every fifteen minutes around-the-clock between the arrival hall and car rentals. When you exit the customs area, continue straight ahead and outside the airport entrance. From there, you walk through a covered footpath and at the end of the path you will find the shuttle service. Exit the shuttle at stop number 3. We are in the same office as Átak car rental, just follow the SADcars logo. Our Keflavik office is open 24/7. Our new office in Reykjavík is at Knarrarvogur 2, 104 Reykjavík. See the Reykjavik office on Google maps. Our Reykjavik office is open from 8am – 18.00 / 6pm weekdays and 9am - 16.00/4pm on the weekends. You can return the car until 23.55/11:55pm if that is the time you have chosen in your booking. If your pick up and drop off locations are different an additional 25 EUR charge is applied. What if I do not have a credit card or if I have a prepaid credit card? You can pay online with debit cards that have the online payment option. 1. We will accept a credit card as a guarantee, no deposit is required. If the credit card is not clearly marked as a credit card our front desk staff is not authorised to accept it. 2. We will accept a debit card, debit/credit card or prepaid credit card only if the card has a 15-16 digit number on the front, and you buy our Platinum Insurance package for the duration of your rental period. If the card or card holder is not present at pick up, we will need another card to pay for the booking as well as guarantee the rental agreeement, otherwise we are not able to deliver the car. The cardholder of this new card will be the renter, their card will be charged for the amount of the booking and the older card will be refunded. ATTN The cardholder/renter and the card used to pay for the booking has to be present at pick up and the card that is used to pay online has to be the same card as is used to guarantee the rental agreement. Just remember that the cardholder/renter and all extra-drivers have to be present to sign the rental agreement at pick up. The card used also has to be valid for 100 days after the rental period ends. 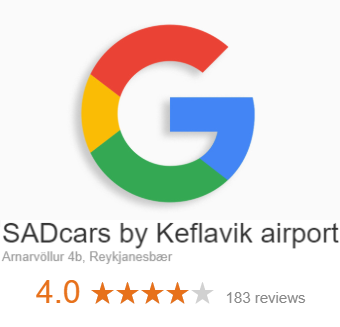 Where do I meet you at Keflavík airport and where do I return the car? Just jump on board the free shuttle bus that goes every fifteen minutes around-the-clock between the arrival hall and car rentals. When you exit the customs area, continue straight ahead and outside the airport entrance. From there, you walk through a covered footpath and at the end of the path you will find the shuttle service. Exit the shuttle at stop number 3. Just follow the SADcars logo to us. When returning the car, please take it to the same place you picked up from and then hop back on the bus to get to the airport. All information about the location of our Keflavik office. We also have an office in Reykjavik. Can I return after hours in Reykjavík? Our Reykjavik office closes at 18.00/6pm on week days and 16.00/4pm on weekends, but you can book your return until 23.55/11:55pm. Just leave the keys in the drop off box outside our Reykjavik office. Please note that a vehicle that is returned out of office hours will not be checked in until the next business day and you are responsible for the vehicle until then. Our office by Keflavik airport is open 24/7. Do the SADcars have winter tyres during winter? All of our rental cars have studded,winter tyres during winter, suitable for driving in normal winter conditions. Do you have cars with automatic transmission? Yes! We have automatics transmission cars in most car groups, small and large. Check out our cars for further information. Why are you cheaper than other car rentals? Our business concept is that we rent out good solid cars that are older, although never older then 5 years old. 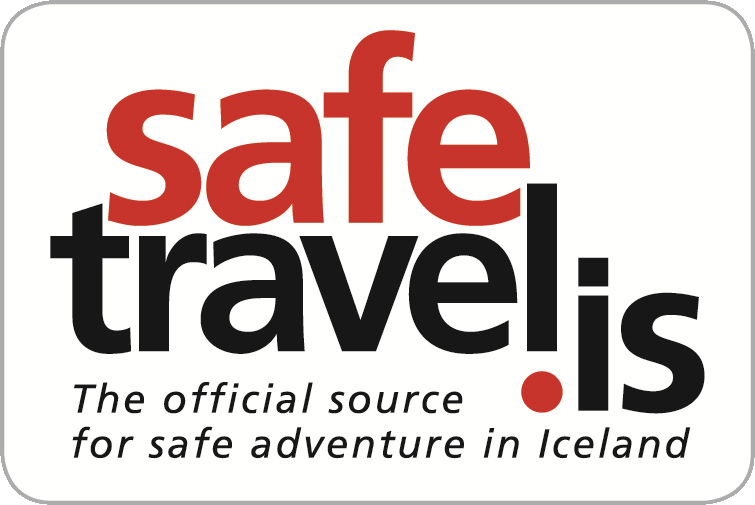 Therefore, we are able to use cheaper cars with lower depreciation - and this delivers the very low rent price directly affecting your costs of travelling in Iceland. 1. We will accept your credit card as a guarantee, no deposit is required. If the credit card is not clearly marked as a credit card our front desk staff is not authorized to accept it. 2. We will accept you debit card, debit/credit card or prepaid credit card only if the card has a 15-16 digit number on the front and you buy our Platinum Insurance package for the duration of your rental period. The cardholder/renter and the card used to pay for the booking has to be present at pick up and the card that is used to pay online has to be the same card as is used to guarantee the rental agreement. If you present a card that is not clearly marked a credit card at time of pick up, but decide not to take Platinum insurance, no refund will be made as that is considered a cancellation within our 48 hour no cancellation period. If you are in doubt whether your card is a debit or credit card, feel free to contact us and we will look up your card number. We have English, French, Polish and Icelandic speaking agents that are happy to assist you. All prices include the following free things. There are no hidden fees! You can read all about our insurance options on our Insurance page. All our cars have the obligatory Third Party Liability Insurance (TPL) under Icelandic law - this covers third party damage or loss in an accident. • Damages caused to the underside and the top of the vehicle. This also applies if the vehicle rolls over. For a full list of what is not covered as well as details about our Insurance check out our Terms page. SADCars has service partners all around the country if something breaks down or if something has to be replaced. If you have an accident or the car totally breaks down we will of course replace the car with a new one. Should the car break down, you can call our 24 hour hotline and we will decide if the car is repairable or if you need a new car. If the car is repairable then we will direct you to one of our numerous service partners around the country. If it is not then we will bring you a new car right away. We have a road side service network all over the country so if something happens to the car we can quickly assist you but the cost of that is not included in the price if you have an accident. If the car on the other hand breaks down the car will be fixed for free or you will get another car. If for example in case you have a flat tyre, that is not included in the cost of the rental of the car. All the cars have spare tyres and someone could come and change the tyre if necessary. What kind of cars do you offer? We offer small cars, 4x4 cars and vans. You can see see all our cars on the Our cars page or browse the categories that fit your needs below.